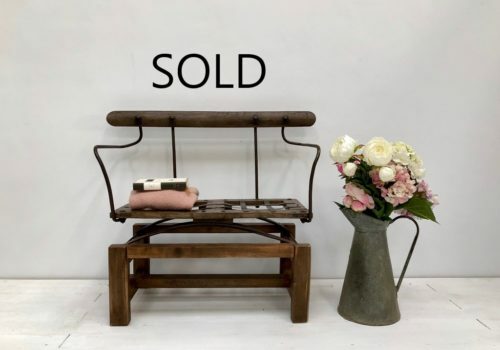 This is a beautiful, 19th Century coach bench with original iron works, seating, springs etc. We think it now makes the most beautiful rustic style statement with such ease and simplicity. Perfect colour and overall patina, to both the woodwork and iron works. The design and shape are functional and simple but superb with it. Not too large, it could now be perfect for a hallway, bathroom, bedroom etc. Timeless style that is very hard to come by often!